Comanche County was next on our list. We hit the county seat, the town of Coldwater, hungry and hot. We quenched our thirst and hunger at this great pizza place called Dave’s Pizza Oven, which is right off of the main drag. It was great! The pizza was tasty and they had a room of retro arcade games. This pinball-loving family was in heaven! 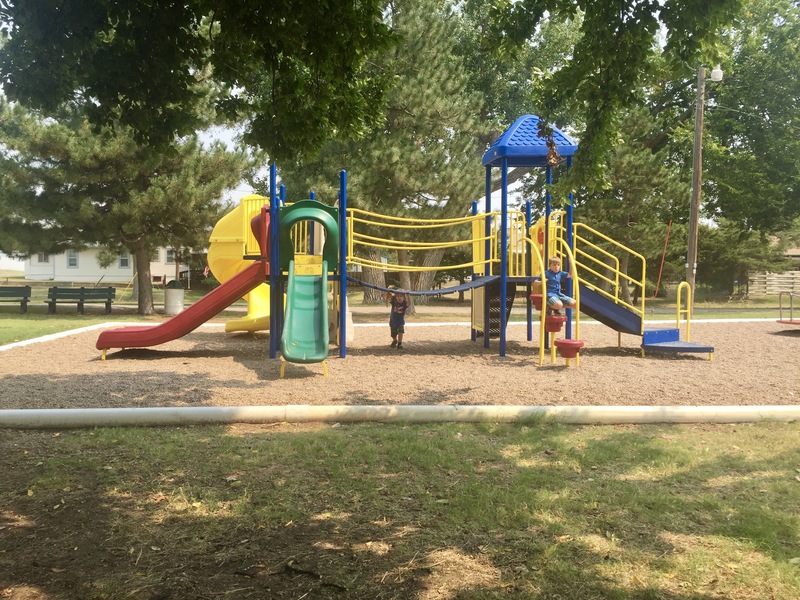 After having our fill, we decided to burn off some wiggles at the town park. 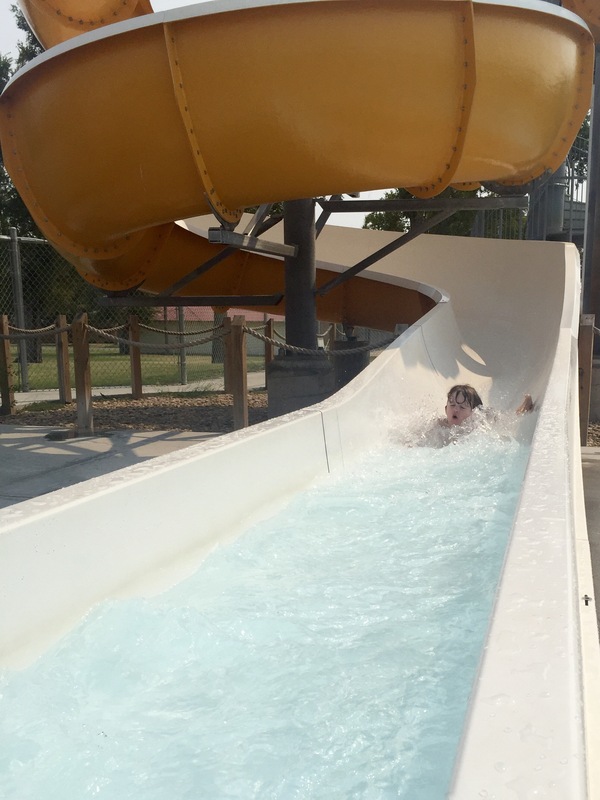 As the boys climbed the structure, they saw the town’s pool and large water slide. It was hot, so we obliged. For under $5 total, the family had a few hours of bliss in the sun and fun on the waterslide. 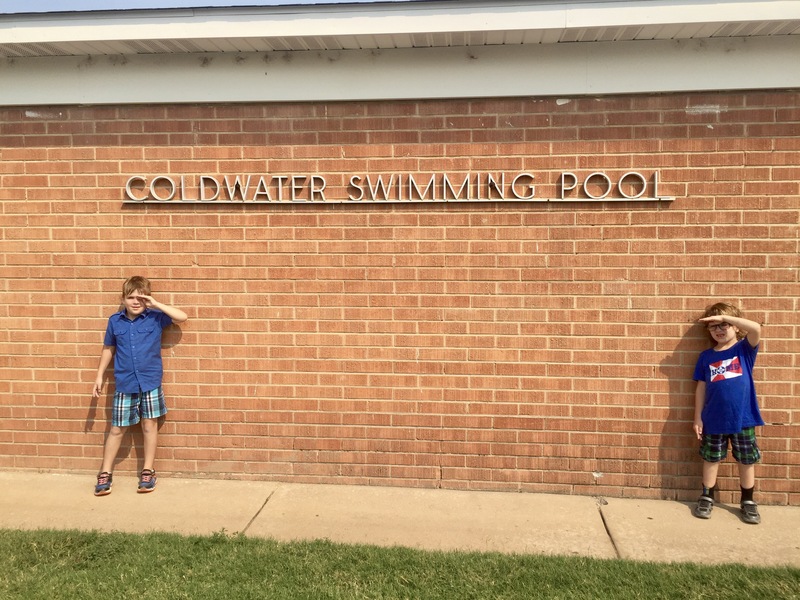 Coldwater was a great pit-stop on our trip! Coldwater is also the start of the Gypsum Hills Scenic Byway. It goes from Coldwater to Medicine Lodge and is absolutely breathtaking. For more on the Gypsum Hills Scenic Byway, check out Travel KS’s site.